A smart city uses digital technologies to enhance performance and well-being to reduce cost and resources consumption and to engage more effectively and actively with it's citizens. Key smart sectors include transport, energy, health care, water and waste. A smart city should be able to respond fast and effectively to the challenges of today's world. Every year, more than 1.3 million people die from accidents on roadways, between 20 and 50 million more suffer injuries on roadways worldwide. 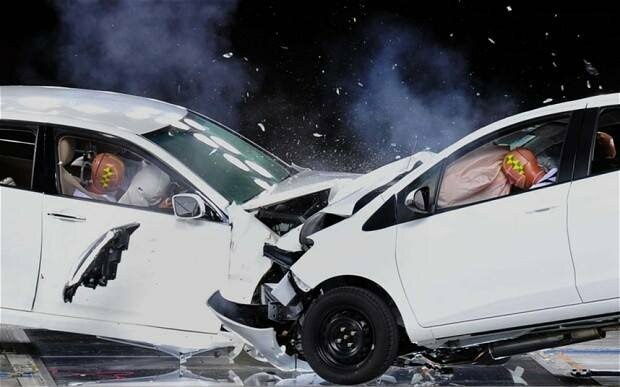 Incredibly, 62% of deaths from road accidents in the world occur just in 10 countries, with Mexico in the 7th place; and 50% of deaths from road incidents occur among pedestrians, cyclists and motorcyclists. Road accidents are the first cause death in young Mexicans between 15-29 years old and also is the second national cause of motor disability, leaving thousands of young people quadriplegic or paraplegic. The traffic light will have a camera that will take pictures of any car that crosses while the light is red, this way, the city will be safer without the need of police cars patrolling every street light all day. We are aware this technology exists in other places, however, it´s not the case for our city. Reduce the number of accidents caused by careless driving. The traffic light completely adapts to the needs of each moment, preventing traffic jams and providing a better traffic flow. More efficient way of fining red light crossers. 4700 Heróico Colegio Militar Av.